My dear carpenter student, do you know how to use a plunge router? Hope you have heard the name of plunge router. A wood router is powerful wood cutting machine which has revolutionized the way the carpenters and other professionals used to work. The machine has made them more efficient and has enabled them to create great designs in no time. Wood routers come in two bases, fixed base or plunge routers. Fixed base routers have a traditional advantage of high precision over the plunge base routers. However, the popularity of the plunge base routers is growing rapidly because of their high mobility and ease of use. A plunge base router is more useful than a fixed base router for edge shaping and plunge cutting applications. These are very useful for interior decorators, cabinet designers and other artistic purposes. For these applications there are special techniques to create special designs. A user must know the use of a plunge router to create a particular design. A router performs a plethora of cutting tasks, from shaping the edges to carving designs on solid wood. However, these different types of cuttings can be classified into three type of cuttings. A fine cut is made at the center of the wooden plank to either create space for another piece of wood to fit in or to carve a design on the wood. Straight cutting requires the router to be very stable for high precision cutting. The edge of the wood is cut into various shapes to give a designer look to the furniture or any other piece of wood. Rabbet cutting beautifies a simple piece of wood. Rabbet cutting becomes much easier when one can tilt the router or the router is held in hand. When a router is used to create deep cuts or holes on wood a spiral cutting plunge router bit is used for a better clearance of wood chips which are filed out in the cutting process. Spiral up cutting is used to create holes on doors and furniture. Spiral cutting requires the router which is easy to move as it is mostly used to carve holes which are usually at a distance from one another. A plunge router is better for both Spiral-Up and Rabbet cuttings while its precision suffers on straight cut when compared to fixed base routers. One can buy a cheap plunge router specially for rabbet cutting. The most important technique that you are going to learn the use of a plunge router. 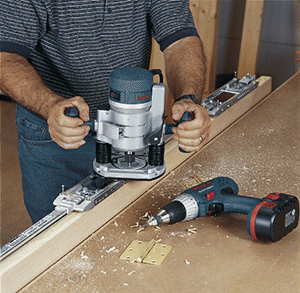 There are three applications which suit the plunge router more than a fixed base router. So, if you have one of the following usage, you must choose a plunge router for more efficiency. There are different applications of a plunge base wood router and for every application there is a different router technique that ensures a more efficient use of the router. Here are some of the techniques that will help you to learn for a specific purpose. If you are an interior designer or a professional who cuts designs on wood, you should prepare guides or design patterns using which you can cut a repetitive designs in no time. There are a good number of designs which are regularly used by such professionals. Edge carving becomes very easy once you draw the guiding lines on wood using a pencil or a marker before using a plunge router. When using a plunge router with guidelines in place, you will need half the time you need without the guidelines. A single bit can give multiple designs if you know how to use a plunge router in different angles and heights. There are artists who specially use a plunge router to carve designs using best wood routers, these artists draw a design on wood and then use the router to cut. Such users need a great amount of maneuverability to ensure that they make a perfect cut with great ease. Such users should buy a router that fits in their palm and is very light weight. A compact router with a plunge base is an excellent option for such users. We are almost learn to becoming an experts on plunge router. 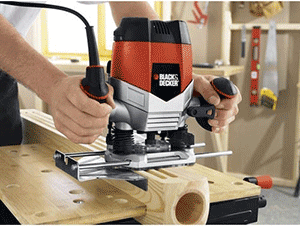 Black & Decker RP250 is our pick of plunge routers available in the market. 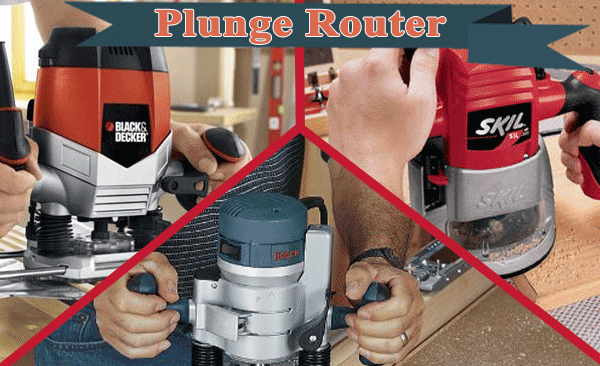 A cheap plunge router, RP 250 is a high performance plunge router. RP 250 offers only plunge base operations and has an acrylic see through base for more accurate cuts. The router is equipped with a 10 amp powerful motor that helps it in cutting through the toughest varieties of wood with great ease. The speed adjuster offers a variable motor speed between 8,000 and 27,000 RPM’s. Gradual start feature of the motor ensures high precision cuts with better user control while cutting. The router comes with a two year warranty to ensure customer satisfaction. RP 250 is a high performance cheap plunge router and is loved by users who need a dedicated plunge router. Q: Some Questions That We Ask Before buying that which base is better fixed or plunge? A: Both fixed base or plunge router base are great, one should understand that they are completely different from one another and cannot be compared. There are applications where fixed base is more efficient while there are others where one cannot make a cut without a plunge base. Q: How can one select whether they need a fixed or a plunge base router? A: It is very simple to select between fixed base or plunge router. Plunge router is great for mobility and handheld applications while fixed base router is better for high precision cuts using a router table. Plunge router is also a great choice for people who wish to use the router for creative designs. Q: Should I buy a router that offers both fixed and plunge bases or a router that offers only plunge base? A: A router that offers both bases is always better than a router offering fixed base or plunge router. However, if you are buying a router for a specific usage and you have no other use, buying a basic plunge router will save a lot of money. One can perform fixed base operations with a plunge base if they know how to use a plunge router on fixed base applications. Conclusion Plunge Routers prove to be better when a user has mobility and maneuverability as one of the few qualities that they seek in their router. Plunge routers are not as accurate as a fixed base router. However, these routers are more useful when one needs to craft the edges. Edge crafting is a technique commonly used to beautify the furniture. There are many edge crafting patterns available when one chooses a large plunge router bit set. These plunge router bits give innumerable design patters by adjusting them for position or alignment. If one knows how to use a plunge router, they can create several designs using a single plunge router bit. A plunge router is a necessity for those who wish to create their own designs using their artistic abilities. 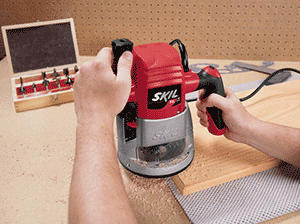 A cheap plunge router can be a good start who cannot afford a high end dual base router.